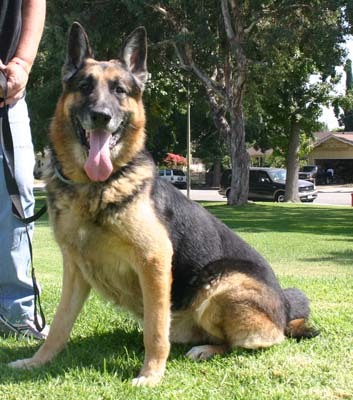 Duke von Saba is a large impressive looking 7/8 year old German Shepherd. He has the stature and build of a show dog; he knows how to get in the show stance all by himself. Duke is trained and listens carefully to any command. 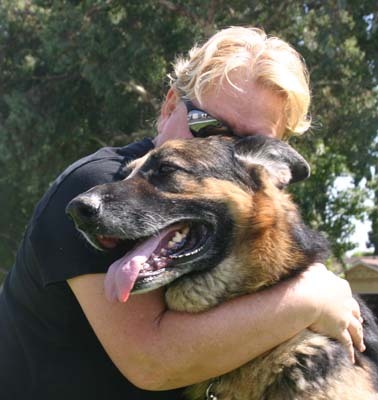 He is a lover too, he wants to put his big beautiful head in your lap and just forget about all that has happened to him. 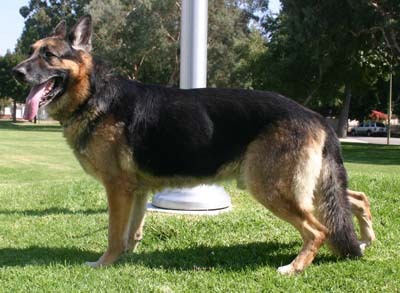 All we know is that a breeder called animal control to pick up Duke. Maybe he couldn’t be used as a breeding dog anymore. It seems so unforgivable with such a stately, kind and loving dog. Duke is very good with other dogs too. He got attached quickly to Kevin who was transported together in the same SUV from the shelter. Kevin is already adopted and Duke is ready for his new forever home.